Back to the sea for this week’s Mystery Creature, a walking lump of jelly to some. Cute or ugly, what do you think and can you name it? If you know the answer do share, or if not it can be fun to try to find it out before I reveal all at the end of the week. Want a clue? Just ask in the comments below. No idea. it looks like something out of a sci-fi novel. Fascinating. 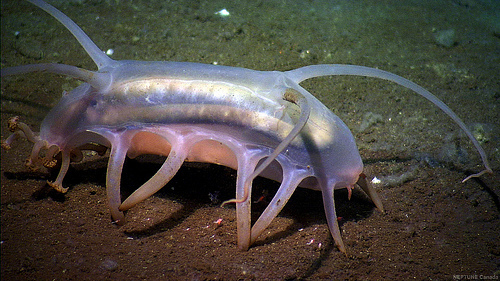 It does Muuka doesn’t it 🙂 I think that some creatures found in the depths of our oceans are are alien looking as if they stepped off a spaceship!